Mother’s Day is coming! it is the time to celebrate and show our love and appreciation to the most important woman of our lives! We have been thinking of how to make it a special and memorable Mother’s Day for our mother. It will be a great idea to surprise our mother by whipping up a home-cooked meal that comes from the heart. Thanks to A+E Networks Lifetime™ and Curtis Stone, host and head chef of Top Chef Jr. for giving us the fabulous idea! My mother likes spaghetti and I decided to whip up a spaghetti dish using recipe inspired from Curtis Stone’s Pesto-Glazed Chicken Breast with Spaghetti. This reminded me of my first cooking experience with Child Chef Prodigy Estie Kung when she was in Singapore in 2016 to conduct the Cooking Masterclass event held in conjunction with the launch of the A+E Networks®’ Lifetime®. Since then it has sparkled my interest and passion in cooking as I was so impressed with Chef Prodigy Estie Kung, she inspired me to learn to start cooking. You are never too young to cook. Curtis Stone is a celebrity chef that I look up to for inspiration and I am so happy to be able to use his recipe to cook a Mother’s Day dish for my mother! Getting the ingredients all ready, putting on my apron and preparing to cook the spaghetti dish inspired by Curtis Stone. After all the cooking, the dish is ready to be put together and served with love to my mother. My mother is so touched and she enjoys this dish very much! Nothing beats a home-cooked meal to show your love and appreciation to our mothers! Here we would like to wish all the wonderful Mothers, Happy Mother’s Day! 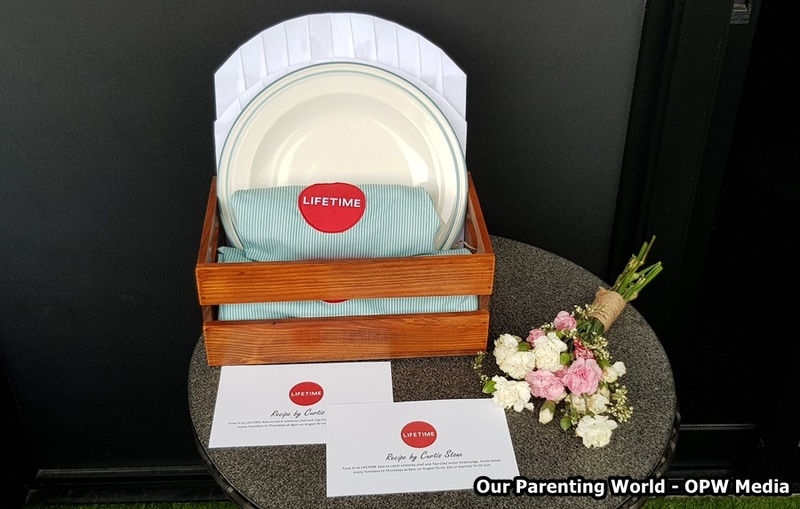 You can catch award-winning celebrity chef Curtis Stone, the head judge on Lifetime’s new show Top Chef Jr., a reality cooking competition and the talented young chefs every Tuesdays to Thursdays, 8pm at Lifetime.